A divided Detroit City Council approved a modified lease with the state today that would give the Department of Natural Resources control over Belle Isle – but for a shorter period. By a 4-2 vote, the council offered its alternative to a plan proposed by Detroit Emergency Manager Kevyn Orr and Gov. Rick Snyder. Now a state-appointed committee is charged with determining which of the two plans are best for reducing Detroit’s deficit. Some audience members were removed for shouting after the council approved the modified lease. Opponents, including Councilwomen JoAnn Watson and Brenda Jones, said the city should retain management of the park and charge a nominal fee. Under the state’s plan, residents would be charged $11 annually for admission. Council President Saunteel Jenkins reminded opponents that the park will remain in Detroit. “It will continue to sit on the Detroit River,” Jenkins said. 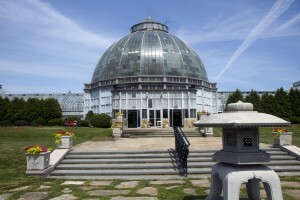 Under the council’s plan, the city would lease Belle Isle to the state for 10 years, instead of the 30 years proposed by Lansing. The city would have the opportunity to extend the lease twice after each decade. The council also wants a provision that would allow it to get out of the lease if the state fails to properly maintain the park. Emergency Manager Kevyn Orr still supports the original lease, his office said today. No one’s asking or stressing the fact that Detroit residents will continue to pay a $2 million-dollar a year water bill for this lease. Where is the real savings? Cassandra: The run-off fees are supposed to be covered by the state as part of the lease. 10 years is too short. The city will not be financially ready to operate it by then. Further, it will be hard for the state to justify the improvements they plan to make. 20 years is a good compromise. So the council wants to be able to get out of the lease if the state fails to maintain the park – does the state get the same deal if the city fails to police it effectively? Snyder said policing will be handled by DNR and supplemented by Michigan State Police. He also said because it’s Detroit’s island, he would expect DPD would be present in some capacity. I have to say thats fair. lets say the DNR comes in and lets it get worse than it is. if it is a jewel as we all say then that would be doing even more disservice and the city should be able to come in manage it at least half assed, if the state is doing it no assed. not saying they will but I think provision to say something is happening should be there. If the state puts nothing into it and lets it get worse, what incentive is there for the city to lease it. they could do that themselves.